Rowan Garel conquers yet another achievement for the visually impaired by diving the Great Blue Hole. The dive was originally scheduled for July 14th, but due to weather conditions, the dive was postponed. On Friday, July 26th, Rowan, accompanied by a crew of supportive family and friends set off to dive one of Belize’s greatest marvel. The group departed from the Radisson Fort George Hotel and Marina at around 7AM, equipped and determined to brave the Caribbean Sea under the guidance of Sea Sport Belize. Diving the Blue Hole is the third major feat for 15 year old visually impaired Rowan. Rowan was born blind, but he has never let that get in his way of experiencing life. In 2011 Rowan climbed the second highest summit in Belize, the Victoria Peak over the course of two days. In 2012 he journeyed across the country, walking 92 miles. These milestones conquered by Rowan were done to raise funds for the Belize Council for the Visually Impaired (BCVI), which is the only organization in Belize that caters to the blind or visually impaired. In order to dive the Blue Hole, Rowan went through vigorous training and completed PADI e-lessons before getting certified. Rowan also made several smaller dives at Shark Ray Alley, Hol Chan Marine Reserve and South Gallows Point in preparation for the big dive. 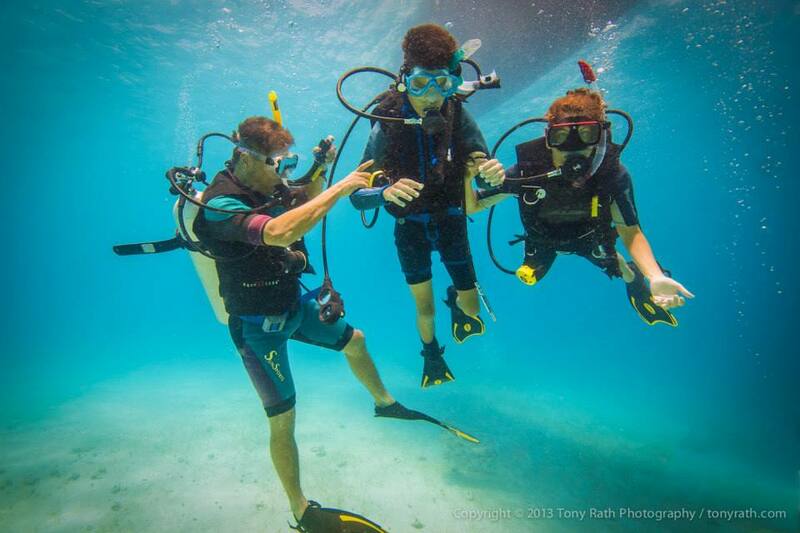 Training and providing assistance to Rowan were PADI certified instructors, John and Linda Searle of Sea Sports Belize. Apart from the months of preparation, Rowan also received additional support from Noriko Takemae of the Japan International Cooperation Agency (JICA), Belize Office. Takemae facilitated the loan of Casio Logosease Underwater Communication Device from Japan’s Casio Company and Logosease. The equipment was of great aid to Rowan and his team on the dive. "The units are something like $1,500US each. With help from Ms. Noriko the company in Japan loaned them to us. We're very thankful that they helped us with this, it makes the job a lot easier,” said John Searle. The Blue Hole is one of the top ten scuba diving sites in the world. The “submarine sink-hole” is rimmed by a circular coral bed, and below the surface, it is walled by stalactites and stalagmites, reminding everyone that this marvel was once above sea level. The Blue Hole was made famous by Jacques Cousteau, who explored the depths of the Blue Hole in 1971. Today the Blue Hole is a UNESCO World Heritage Site, rich with marine life and coral formations. 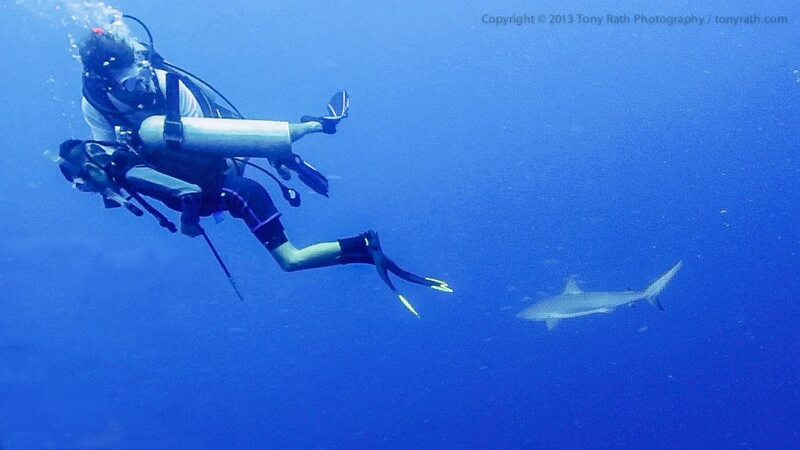 Diving along with Rowan is Carla Ayres Musa, BCVI Communication Officer. 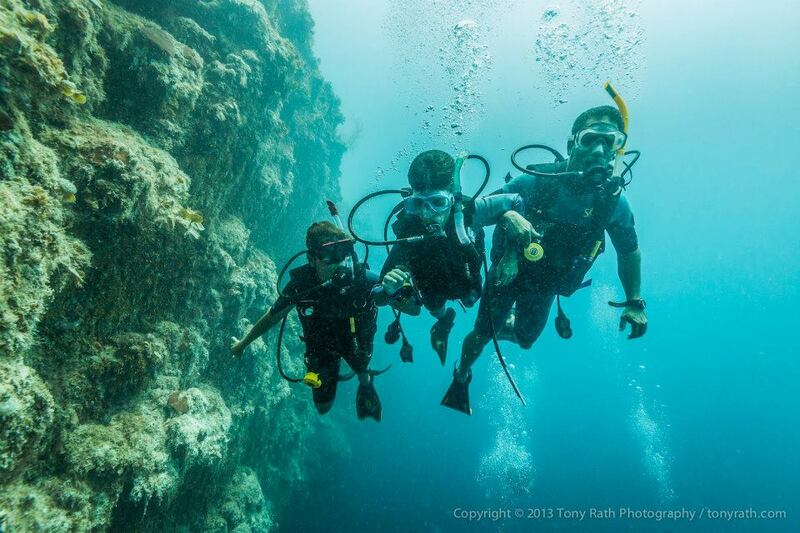 Rowan and his team dove a little below 70 feet of depth and got to experience the Caribbean Sea. 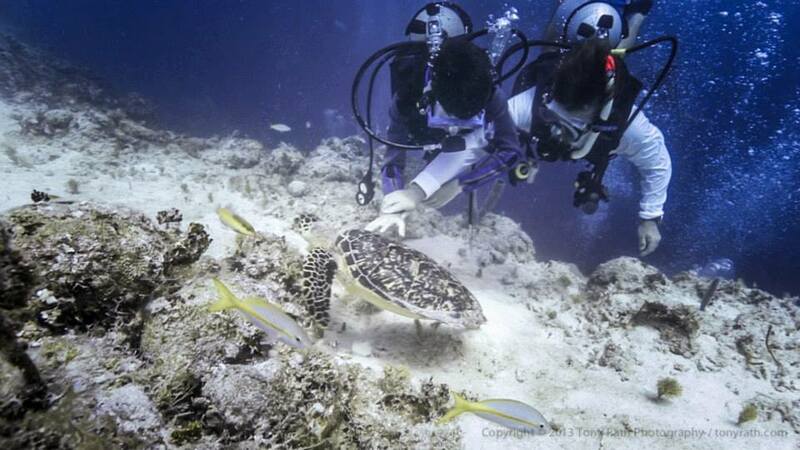 Rowan even got the chance to touch a Hawksbill turtle that was hanging around the dive group. "I went to the Blue Hole first which is really amazing; I really wanted to do that. We saw turtles there which were cool, one of them passed right by me actually, a Hawksbill Turtle and I got to touch the shell and I meant it's just really amazing to be able to go in the Great Blue Hole. So much water was around me, above me, below and you just feel so insignificant in comparison to all that water and wildlife," said an excited Rowan to Channel 7 News. Rowan set a goal of $100,000 BZE to raise by doing the dive, with all funds going towards BCVI. The goal has not been met as yet. To make a donation visit the BCVI’s office on Princess Margret Dive, Belize City, online at www.bcvi.org or via direct deposit at the Belize Bank Account # 71096. The San Pedro Sun joins the Belizean community in congratulating Rowan on this great achievement. He truly is an inspiration to many, and an exemplary young Belizean who, despite limitations, aims high. Keep up the hard work! 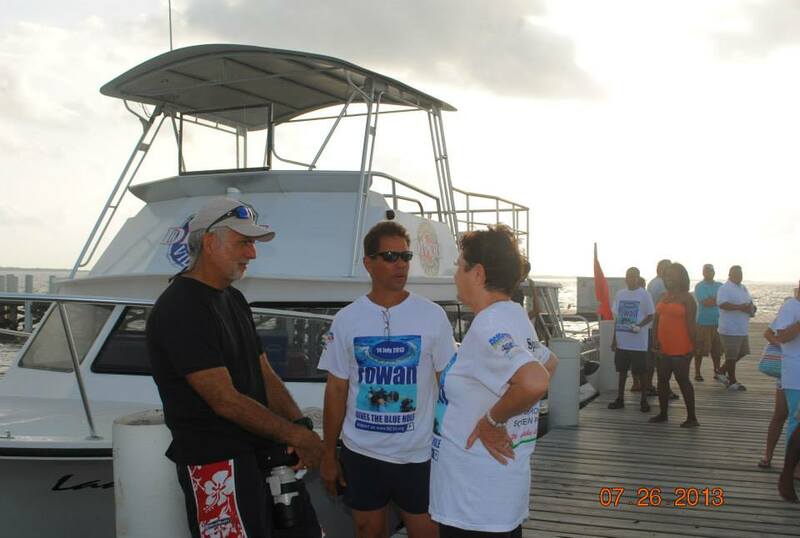 Rowan Garel prepares to "Walk Across Belize"